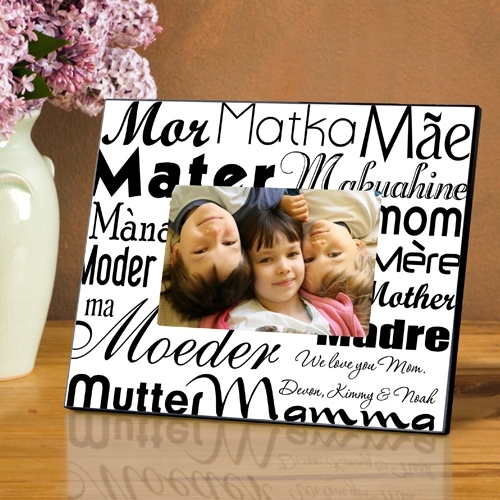 * Mothere means "love" in any language! 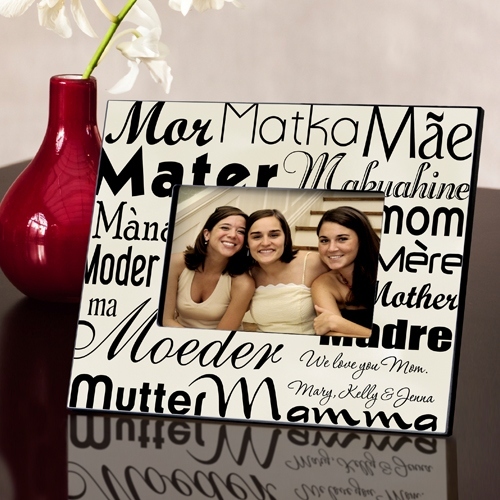 * Honor your mom with this attractive personalized frame featuring the word "mother" in 14 different languages and bold fonts. * Available in dazzling white or a muted parchment hue, this item can be inscripted with two lines of personalization.